Today we’re going to look at a successful theme story. WordPress themes can be a efficient and effective way of creating virtually any type of website, and at Smashing Drones UK, they’ve done just that. The founder of the site wished to produce a single source for all drone related information, including up-to-date prices and offers, while keeping the site simple to maintain and with a strong back-end. Well, WordPress has delivered it’s part of the solution, and Smashing Drones have had their theme heavily customized to match their exact needs. Including several different main categories in a single website, also divided into neat subcategories can sometimes pose problems for various themes not designed to handle both drone spare part catalogs as well as legal information on where and how to fly the drones. There’s even an entire section on drone insurance, meaning it’s important that the theme can divide the sections into easily distinguishable ones. 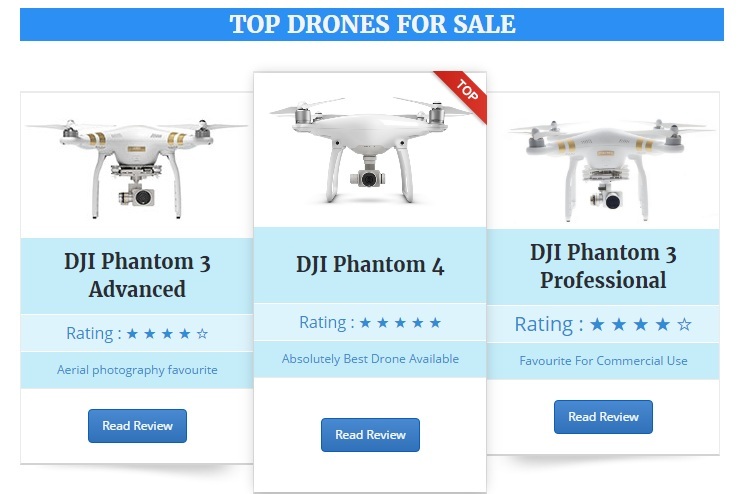 Having a special section for latest drone offers, complete with reviews for each individual drone and a rating system is also handled by the theme, in combination with advanced custom fields, allowing for simple, fast and easy administrator workflows. The heart of the website is the extensive set of user guides with how to’s, from everything on how to install memory and camera’s on the drones and quad-copters, to fixing broken wings and replacing spare parts. With Pilot Training Guides for new drone captains, even complete novices can get a quick read up on the necessary skills and knowledge needed to produce their first minutes of flight, and the website theme has been designed to accommodate both adobe acrobat as well as built in formats of user guides. The sidebar is especially customized on this theme, having both beginner drone reviews showcasing with stars the top rated features are aligned vertically and automatically placed with widgets in the control panel. For aerial photography drones have become extremely popular, as they can provide great results for low cost. This has led to this section becoming one of the most visited ones, and therefore it was convenient that the website owner could easily change the widget positions to better suit the visitor needs. Themes are dynamically adaptable to just about fit any sort of need, and will therefore become Smashing Drones’ preferred choice for many years to come.